The Meg is an action film of prehistoric proportions — one that apparently doesn’t disappoint Heithaus and marine scientist Yannis Papastamatiou. Both are featured speakers at the Museum of Discovery and Science’s Shark Day Aug. 11 in Ft. Lauderdale for the weekend premiere of the film in the museum’s IMAX theater. 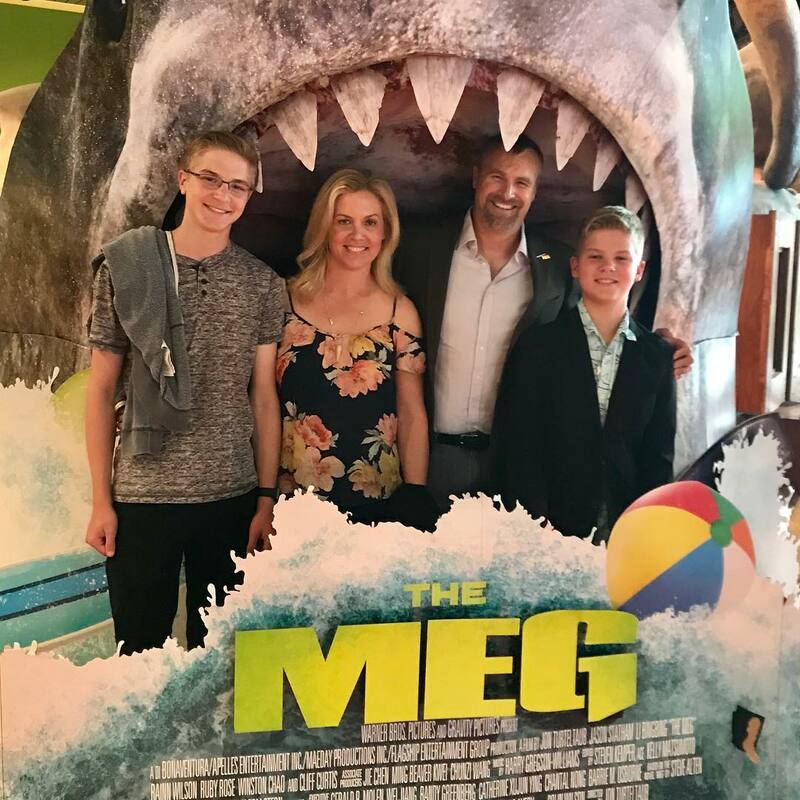 Mike Heithaus, dean of FIU’s College of Arts, Sciences & Education, attended the Miami premier of “The Meg” with his wife, Linda, and sons earlier this week. The Meg stars Jason Statham and follows a group of scientists who must stop a 75-foot megalodon shark from terrorizing a beach community. The film opened this week in theaters nationwide. Heithaus, who is also dean of the FIU College of Arts, Sciences & Education, got a sneak peek during the film’s Miami premiere earlier in the week. He also was featured on Discovery Channel in the run-up to the film’s release, offering scientific insight into the real science behind the prehistoric megalodon. I love that FIU’s Marine Science division has become as famous as that “other” university’s in Miami. Golden Panthers Rule!